Additional Info: I'm jiawei Dai,English name is David. 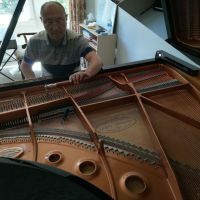 I have been studying piano tuning and piano repair since I was 19 years old, so far 20 years ago. It is the certified piano technician of the piano technician Academy I currently live in Saskatoon, Saskatchewan, Canada.